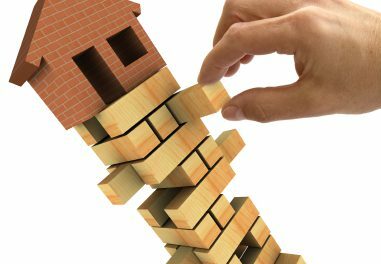 Some media reports are projecting California’s upside-down mortgages may turn right-side-up (meaning they hold a loan-to-value ratio (LTV) of 94% or less) by the end of the new decade – in 2017. However, others feel that believing the light at the end of the tunnel is only seven years out is a very optimistic and dangerous financial assumption for homeowners. The determining factor for how long homes are destined to remain underwater will be mortgage rate trends. If rates rise too high, then sales will lag, effectively keeping property values frozen beneath the solvency level. It is first tuesday’s belief that California’s 2,500,000 underwater homeowners will not become solvent by 2017. The insolvency pandemic experienced by California, and to a lesser extent the country as a whole, was caused by a series of spectacular events that have since famously been deemed the housing bubble of the Millennium Boom. In order to understand what the housing bubble was, and why exactly it was left to implode, it is necessary to first consider its driving force: an economic phenomenon known as the financial accelerator. The financial accelerator artificially driving prices in real estate is a product of capitalism. However, it is also a result of a naturally occurring series of events that, unless closely monitored and regulated, leads to economic chaos (which the entire country now knows all too well). In order for a lender to loan money to a borrower (potential homebuyer), that lender must have collateral. In a mortgage transaction, collateral comes in the form of the property a borrower owns or wishes to purchase. If a lender finds the property a borrower seeks to qualify as collateral has sufficient value, they will then commit to lend money to the borrower. 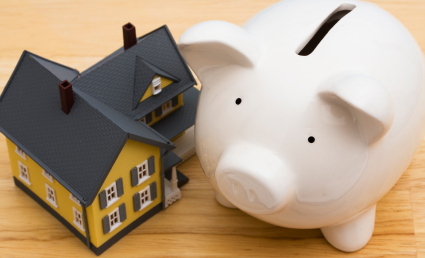 Once a lender approves the collateral, money is lent to fund the borrower’s objective – to buy property. As mortgage funds become more available due to other lenders committing to make mortgage loans, they allow a greater number of buyers to enter the market. As more buyers enter the market due to the availability of mortgage money to fund their purchases, housing prices rise. It is important to note that Phase One and Phase Two of the financial accelerator phenomenon are obvious and sound economics. If the real estate world was stopped at Phase Two, the nation would not be in the predicament it finds itself in today. However, greed took over as competitive advantage among Wall Street peers again pushed the financial accelerator into action. Due to the rising housing prices, lenders notice an increase in the value of the collateral they are accepting and agree to lend more money on property of the same value. To fulfill their desire to enter this inflating bubble of wealth, lenders seek to broaden their audience to any borrower who wishes to purchase property. Soon, homebuyers cannot afford to buy homes as prices have escalated beyond their income’s reach. It is in Phase Three that lenders consider and implement the reduced to non-existent down payment requirement to bring in and enable even more buyers. The rationale is that the property’s future price increase will make the collateral adequate security to justify the mortgage amounts. As soon as the down payment is decreased, the flood gates open into Phase Four and all hell breaks loose. When the down payment is literally eliminated and loans to lesser-qualified homebuyers at even riskier rates become acceptable, lenders open their bag of tricks. This is where true real estate loans — fixed-rate mortgages (FRMs) — are abandoned and an arsenal of economy-slaying weapons is handed out. Homebuyers and refinancers are teased into accepting adjustable rate mortgages (ARMs), option-ARMs, negative amortization loans, hybrid 2-to-5 year rollover loans, Alt-As, price level adjustment mortgages (PLAMs), liar loans for the unemployed and no doc loans for the self-employed. Lenders realize with these tools available to them, the world becomes a gold mine of ever higher yields. They freely fund loans through whatever means necessary, then quickly bundle those loans with others and sell the lot off to bond market investors seeking risks in the real estate market — effectively wiping their hands clean with no “skin” involved in the inevitable bloodshed these volatile mortgages will soon cause. California saw the financial accelerator progress through all four of its phases in both the late 1980s by the then recently-deregulated and over-guaranteed savings and loan industries, and again in the mid-2000s by the unregulated secondary mortgage-backed bond market of Wall Street bankers. Once an economy passes through Phase Four, as ours did in the mid-2000s, whatever bubble is created by the first two phases inevitably and, depending on its duration, spectacularly implodes as though on cue. That implosion leads to an aftermath the country is experiencing and trying to writhe out of today. While the millennium financial crisis caused by the financial accelerator of the 2000s is currently trudging along, we will start to see the bottom in housing prices begin to develop throughout 2011 and into 2012. The next upturn in sales volume or minor-boom period will be seen by 2017 or 2018, but that ascent does not mean homes prices will get to the 94% LTV level needed to make homeowners solvent. It will merely be the beginning of the next financial accelerator. But fear not, we will not have a repeat of the recent housing bubble catastrophe, at least not this next time. In conjunction with government regulation on free-reigning Wall Street, America now has first-hand experience of what a recessionary period actually feels like. And the country will not forget this before 2025, as it tends to take a generation or so to forget and begin to repeat the mistakes of the past. Thus, any future housing bubble will be combated by government intervention at all levels — the Federal Reserve, treasury and regulatory agencies — and a California population well-educated by their current mortgage experience. Predicting solvency for underwater homeowners by the end of this decade, however, is a result of fallacious reasoning. There is too much weighing down on any rise California home prices may enjoy beyond the ordinary rate of inflation. 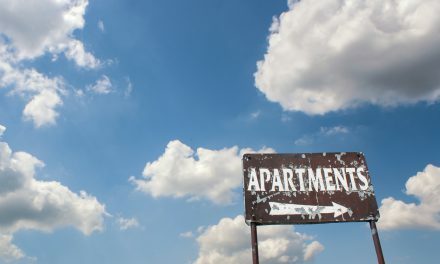 The state is currently experiencing a variety of price-restricting factors: a massive decline in California home ownership (from 59% to between 45 and 50%), a very modest increase in first-time homebuyers, a huge state-wide inventory of vacant apartments and single family residences (which is still growing) with an absorption rate running to 2017, the inability of lower-and mid-tiered homeowners to sell and relocate by buying a better quality home, a return to lending fundamentals requiring a 20% down payment and creditworthiness, an inevitable steady rise in mortgage rates now that the Federal Reserve has backed out of the mortgage lending market and the lack of jobs which are not at all likely to return to December 2007 peak numbers until 2016. Given how this real estate crisis occurred, and what California is currently going through, the state’s homeowners who borrowed in the mid-2000s will not see solvency until the mid 2020’s. Only then will California begin to see prices return to peak 2006 figures.